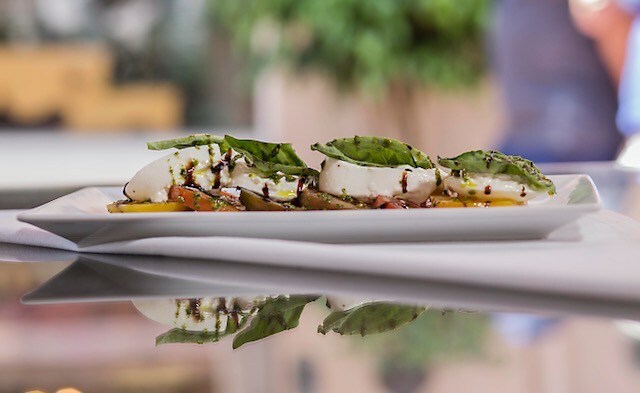 Buratta + Heirloom Tomato at Mizza Artisan Pizza and Italian Cuisine, courtesy photo. 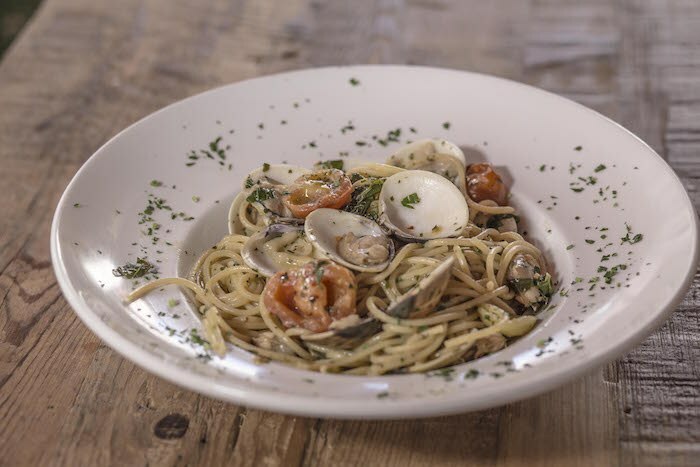 “Our goal is to be an Italian pub, no white linen, but a white linen level Italian dining experience without the white linen,” is how owner Brendan Searls (of Viva!, Dargan’s Irish Pub and Restaurant, and Pizza Mizza fame) describes his newest restaurant venture. He and his wife Kourtney decided to open Mizza Artisan Pizza and Italian Cuisine (“Mizza”) when a prime location with a State Street front patio became available in the historic La Arcada Plaza, which is also home to their Mexican restaurant Viva! “This part of town is going through a renaissance, and this was a unique opportunity that doesn’t come up very often,” says Searls. The newly renovated restaurant space—formerly home to La Arcada Bistro and Barcliff and Bair before that—features handmade artisan pizzas, handmade pastas, salads and a selection of carefully selected house specialties using local fresh produce, locally caught fresh fish, free-range chicken and Harris Ranch CAB meats. Tagliatelle + Mussels at Mizza Artisan Pizza and Italian Cuisine, courtesy photo. With 80 outdoor patio seats and full bar service available, Mizza is sure to be a popular spot on warm summer afternoons and evenings. The restaurant is open for lunch and dinner service daily, with brunch service on Saturdays and Sundays. Mizza Artisan Pizza and Italian Cuisine opened on June 1, and plans for a wine bar are also in the works for later in the summer. 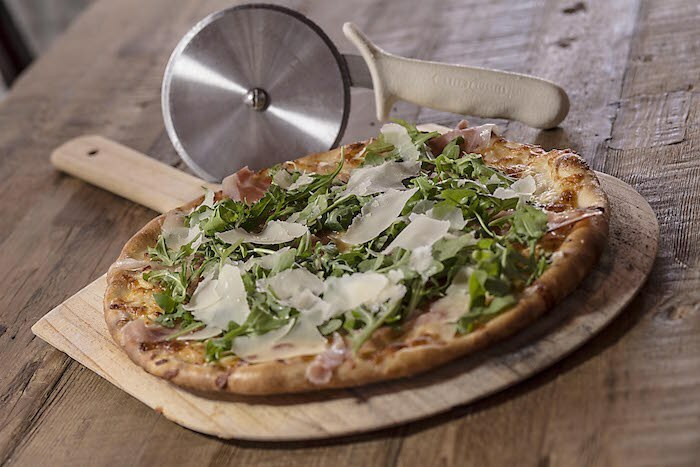 Arugula + Prosciutto Pizza at Mizza Artisan Pizza and Italian Cuisine, courtesy photo. Mizza Artisan Pizza and Italian Cuisine, 1112 State St., Santa Barbara, at the entrance to the beautiful La Arcada Plaza.